We’re halfway through March, which means we’re already wrapping up the first quarter of 2019. Did your business suffer at all from 1st quarter blues? Unless you’re in an industry unaffected by seasonality, such as health care, you were likely impacted by the slowness of this time of year. Many customers hibernate after spending big during the holiday rush and then turn their focus to tax time. This is often a strong contrast to 4th quarter performances. In addition, there aren’t many holidays this time of the year, and many businesses can’t / won’t rely upon Valentine’s Day or President’s Day to send their larger promotional emails. What can your business do? Now is a good time to expand the repertoire of effective marketing emails your company sends out. Build programs that you can run throughout the year for overall improvement, and create emails that can drive sales when you need them in a pinch. Would you like to see some examples on how your company can pull that off? We’re happy to help. Here are our 10 favorite types of marketing emails you can use anytime, particularly in slower times like this. A flash sale is a discount or promotion offered by an ecommerce store for a short period of time. We often create emails just like this for our clients here at Barton Interactive. 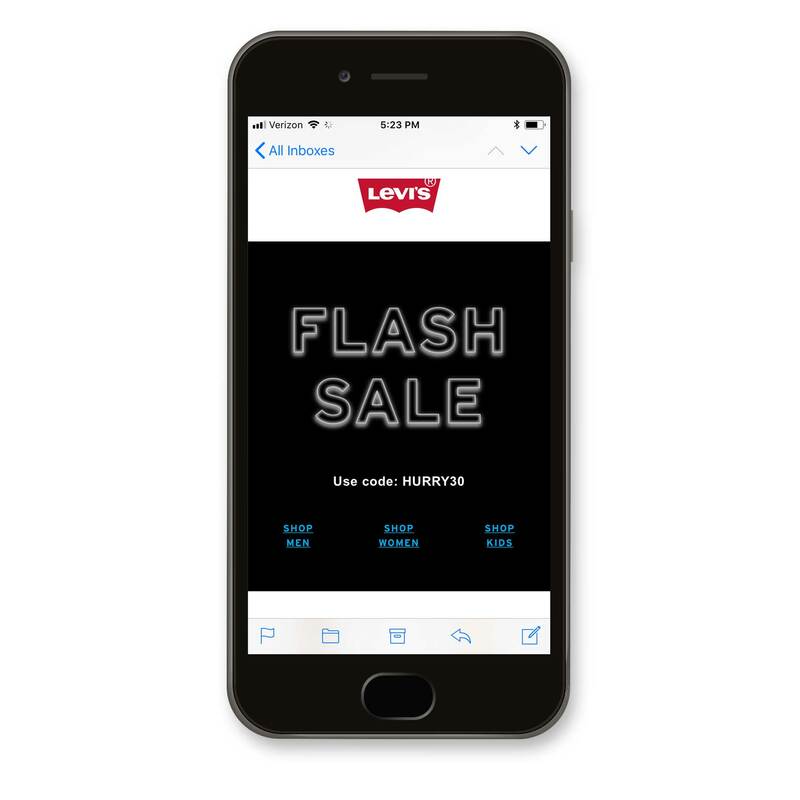 It’s a great one to have at-the-ready because it can be used to drum up business at anytime… For example, in this email we received recently from Levi’s, the Flash Sale lasts just a few short hours, and urges customers to make a speedy decision. This would obviously lose its power if overused, but can absolutely provide a great sales day, if ever needed. When a website visitor exits before completing the desired action (a purchase, for example), it is called an “abandonment.” With so many people abandoning their carts during the checkout process, it can sure be helpful that emails can be sent automatically to draw them back in to finish the sale. A great way to re-engage customers, these emails have a nicer click-through rate than your average marketing emails. Here at Barton Interactive, we have created these types of emails for a few notable businesses including The Vitamin Shoppe, Wet Seal and Eddie Bauer. 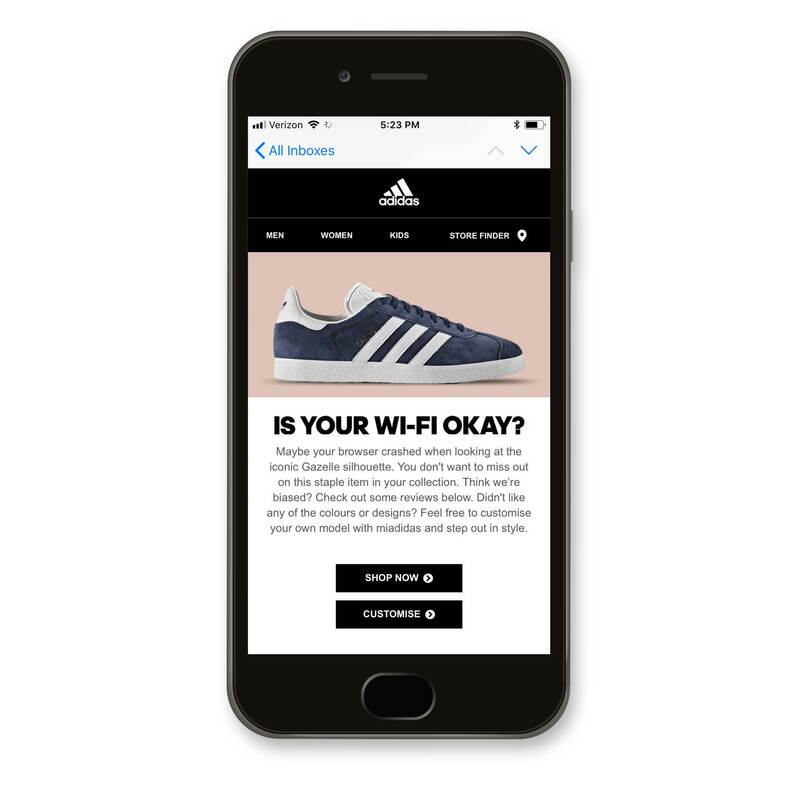 In the example below from Adidas, the company uses clever humor to ask why a customer didn’t finish their shopping session. These emails target visitors who were looking at different categories on a site, but didn’t add anything to their cart, or perhaps looked at a variety of different products within a specific category. 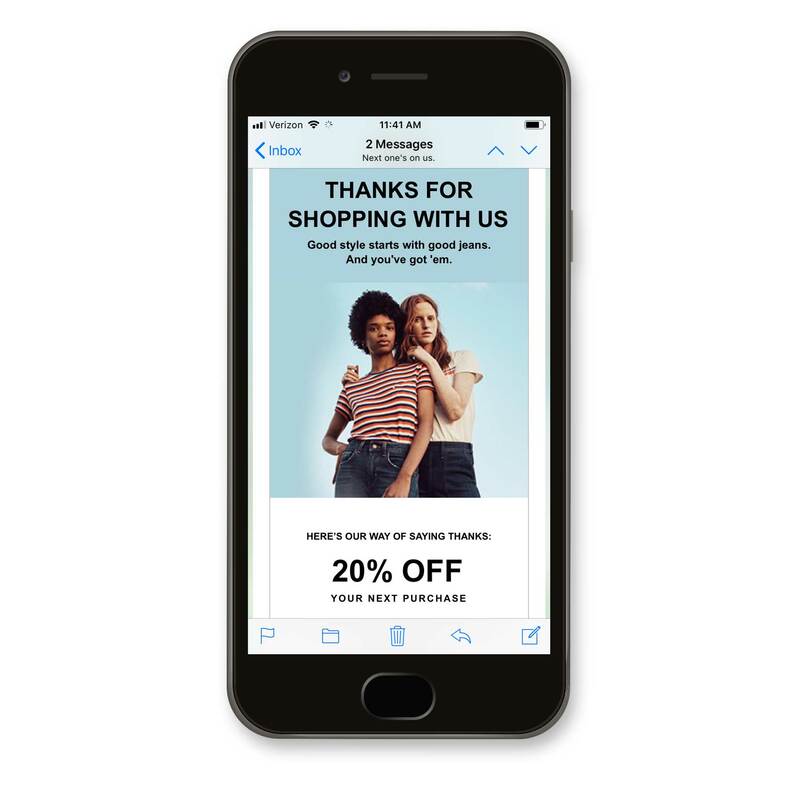 These emails typically yield an even higher click-through rate than the cart and checkout abandonment emails — possibly the highest we’ve ever seen. (At Barton Interactive, the category abandonment emails we created for one particular client performed so well that they even won an award at eTail West.) 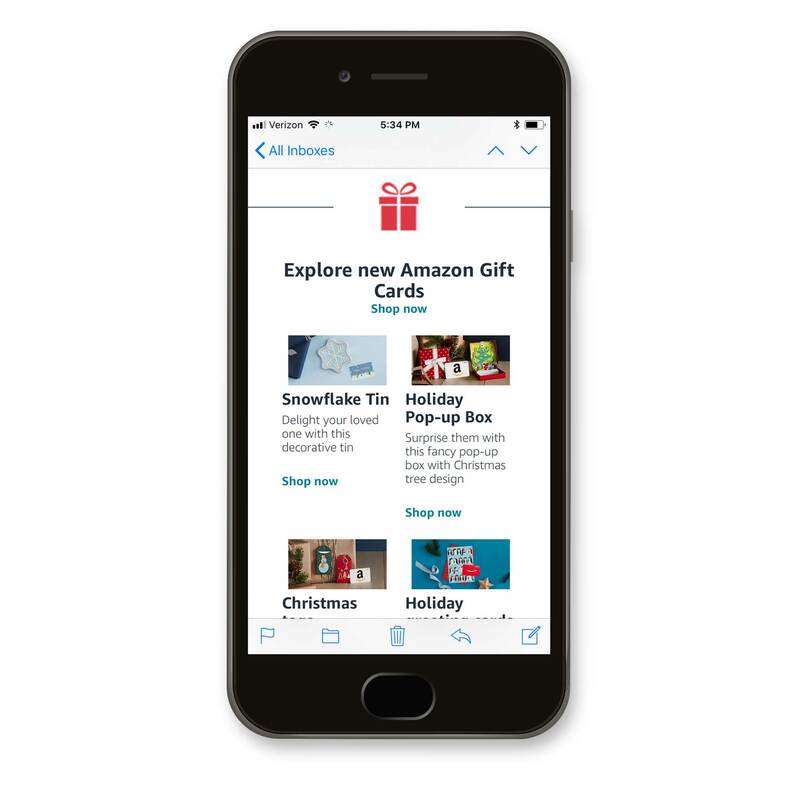 In the example email below, Amazon targets a user who was recently looking in their Gift Cards category. These emails target users who browse a product and leave the website with an empty shopping cart. Featuring a high level of personalization, these emails almost seem as if they know what the user is thinking. We at Barton Interactive have created these for clients such as Wet Seal and The Vitamin Shoppe, and often see giants like Levi’s use this to knock it out of the park. When subscribers become inactive, it’s often a great idea to try and win them back with a re-engagement strategy. It’s less expensive to target a current customer than it is to find a new one. Many find it very handy to use this type of email to market to their subscribers, whether they’ve been around a while or have just recently signed up. 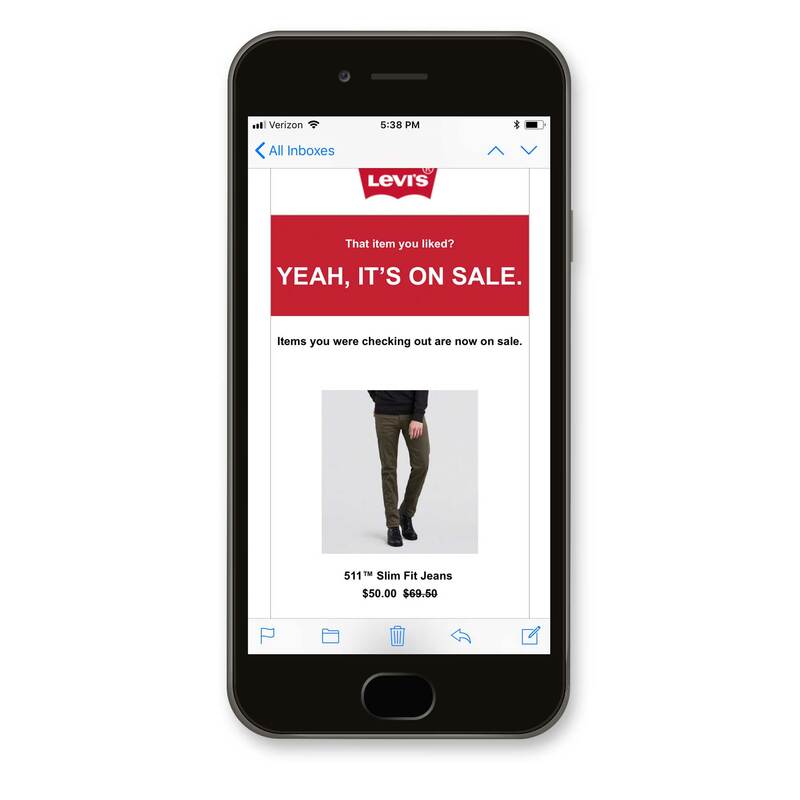 In this email from Levi’s, the company attempts to lure back a customer that recently made a purchase, using an exclusive discount. This type of email is used to send a questionnaire to subscribers to gather various types of feedback. Customer surveys (and knowing exactly what customers value) should fuel your business decisions, so this type of email is always a great idea. 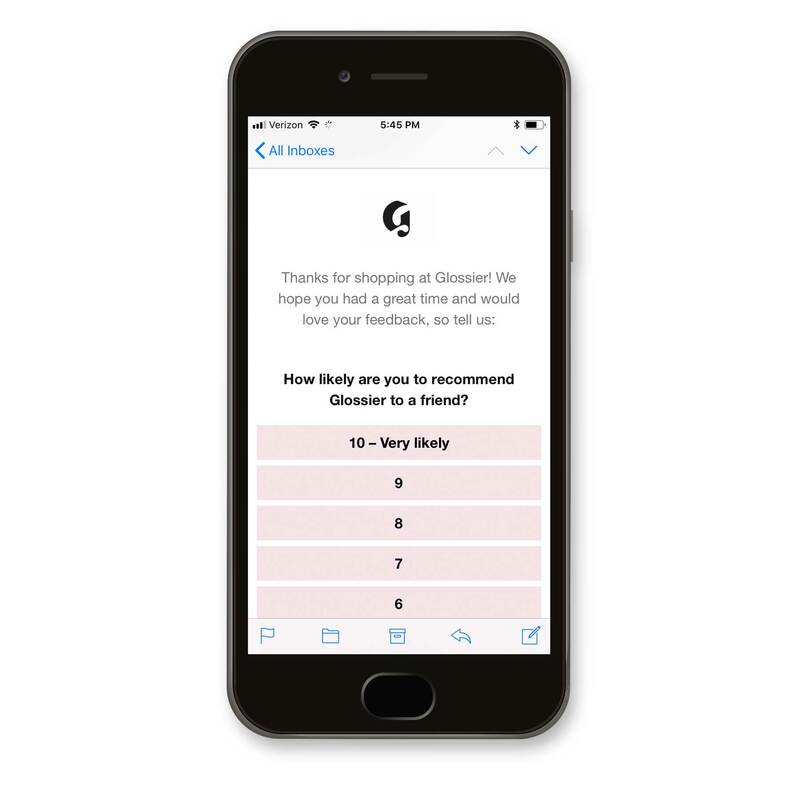 In the example below, Glossier sends a fun and interesting looking survey email to an existing customer. Birthday emails are easily one of the most effective types of marketing emails a business can send. In fact, some people love them so much that they’ll intentionally keep an eye out just to see what shows up in their inbox for their birthday. 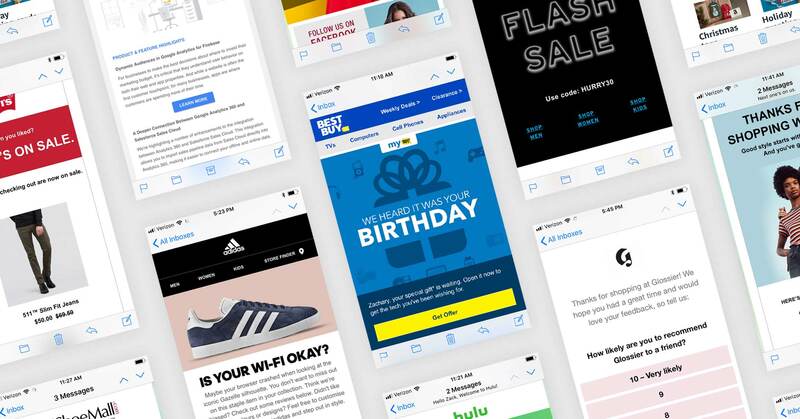 With the high level of personalization of birthday emails, the engagement level is all but guaranteed to be higher than an average marketing email. 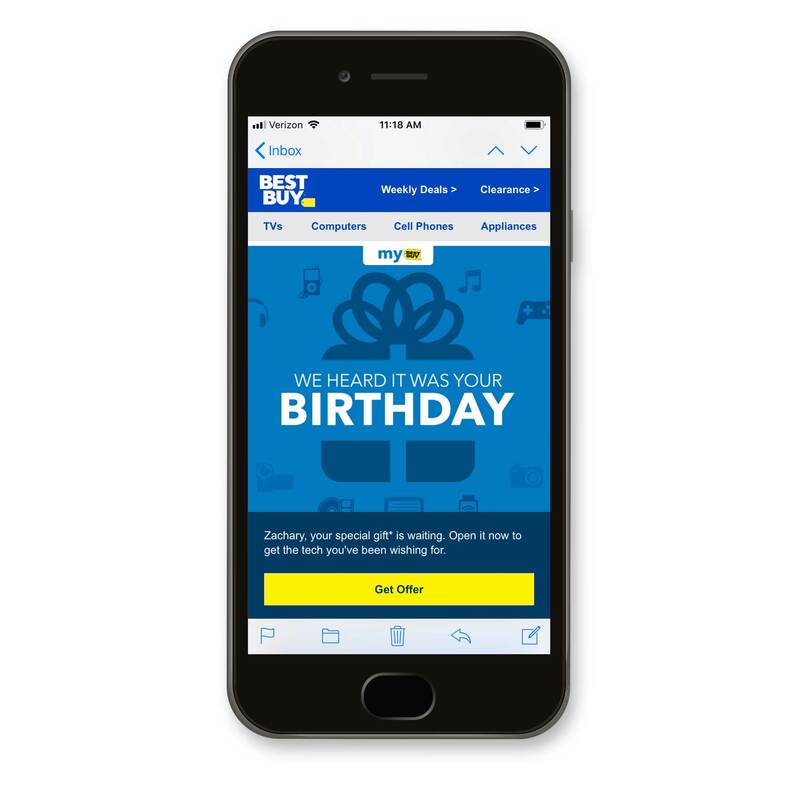 In this example email from Best Buy, a user is given a special gift offer to help them celebrate their birthday. In case you’re unfamiliar, these emails are automatically sent to a person after they take the step of subscribing to an email newsletter or registering at a company’s website. Known to have one of the very highest response rates of any marketing email, a great welcome email is essential for practically anyone in email marketing. Here at Barton Interactive, we have created these for Sally Beauty Supply and Synovus Bank, among many others. 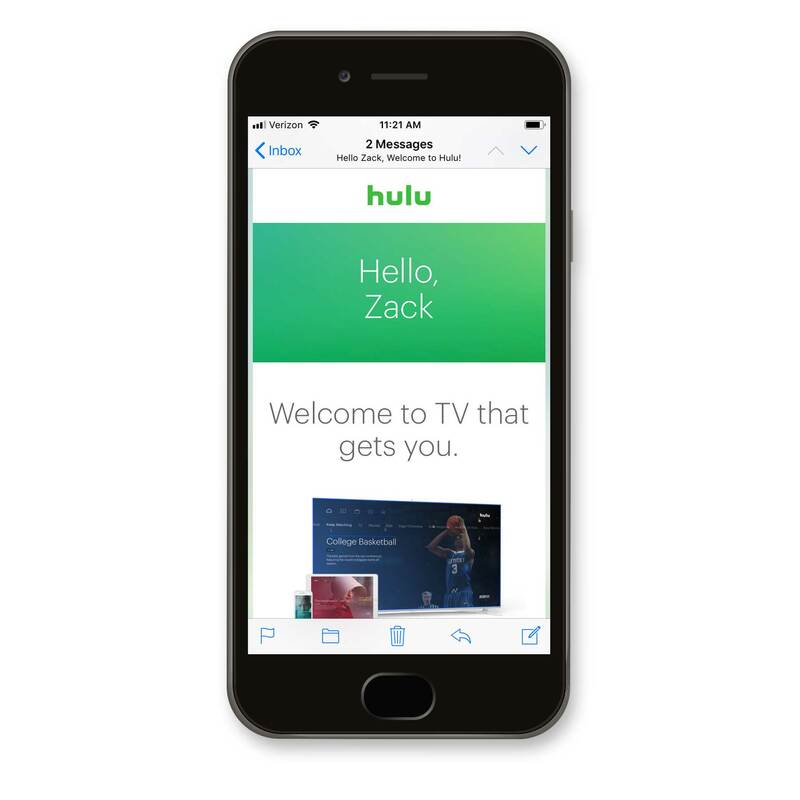 In the example email below, Hulu contacts a new user to provide a warm welcome, communicate value, and assist in completing the setup of their new account. These emails seek to deepen relationships with customers by connecting them with the company’s social media accounts for the purpose of multi-channel marketing. 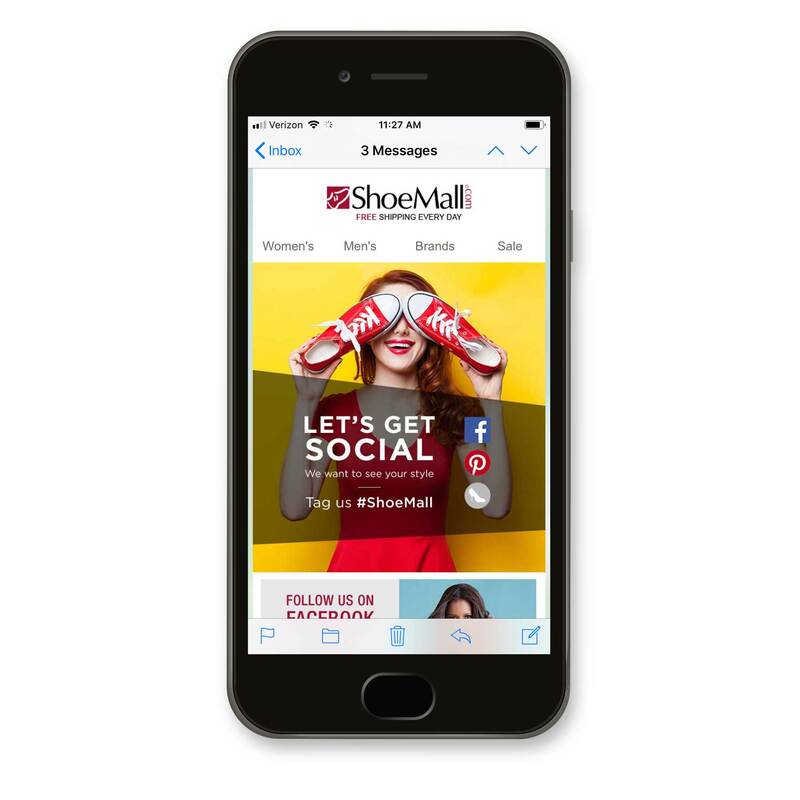 In this example email from ShoeMall, a subscriber is offered additional exclusive discounts if they like or follow the company’s social media pages. These emails broadcast features that are new or already existing. Highlighting these offerings shows the value of these goods or services. This creates a stronger connection between customer and company, giving them another reason to return. 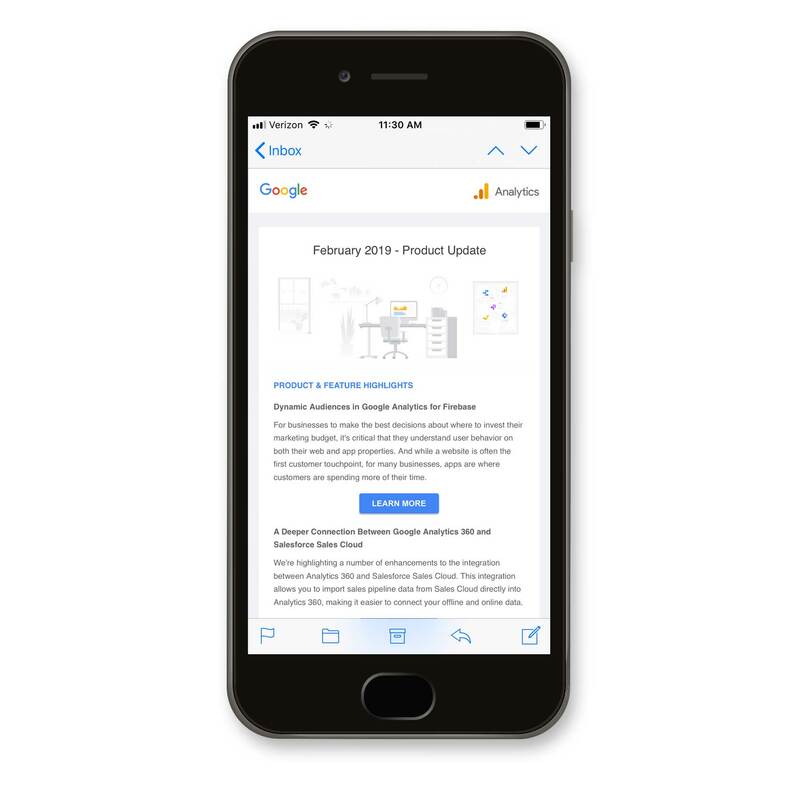 In this example email from Google Analytics, users are invited to head back to get everything they can out of the new features offered. That’s it for this list! We hope we have given you fresh inspiration to jump start your business here near the end of the 1st quarter. Above all, we hope that you’ve been happy, healthy, and able to enjoy the winter season with family and friends. Have any more one-off or year-round marketing email examples or ideas to contribute? Need help with implementing one of these types of emails? We’d love to hear from you! Send us an email or leave a comment below.